Biblical education is one of the priorities of the Christian Centre BEREA. 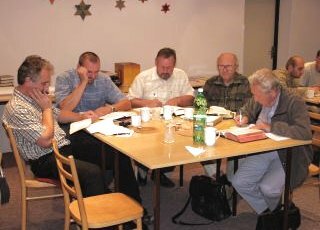 There is no tradition of systematic education in the Brethren Christian Assemblies in Slovakia. Most of it happens simply in the regular Bible studies in the church. Nearly all local churches are led by self-educated lay people without formal theological education; although their knowledge of the Bible is in come cases quite impressive. we are starting from scratch. Bible Training for Church Leaders (BTCL) serves men and women who want to serve better in the local churches. It was designed to build the people of God in the faith (Jude 3), teach them to obey the whole of Scripture (Mt 28:20), train them in righteousness and equip for ministry (2Tim 3:16f; Eph 4:12) and encourage personal and common spiritual growth in the Body of Christ (Eph 4:13). The main text is the Bible. The next is the series of manuals published by the Bible Training Center for Pastors and Church Leaders that fully corresponds with the biblical knowledge and training needs of the Christian Assemblies. 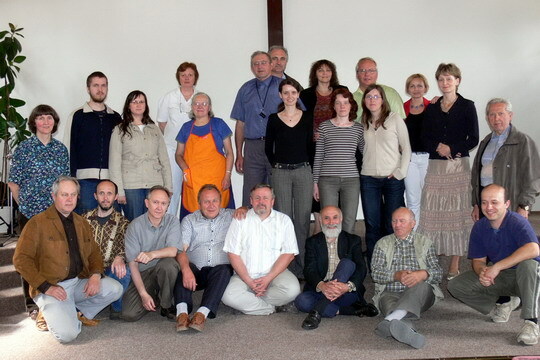 Since September 2005 a group of 30 students meets regularly in Nitra. We learn together to read and understand the Scripture and apply its message in practical life. Brothers Peter Kozár, Jozef Abrman, Ľubomír Vyhnánek and Ilko Kozár serve as teachers. We trust that the effort (8 hours of teaching a day) and many hours of individual study will bring lasting fruit and blessing in our assemblies. After four years of study the course was completed in May 2009.